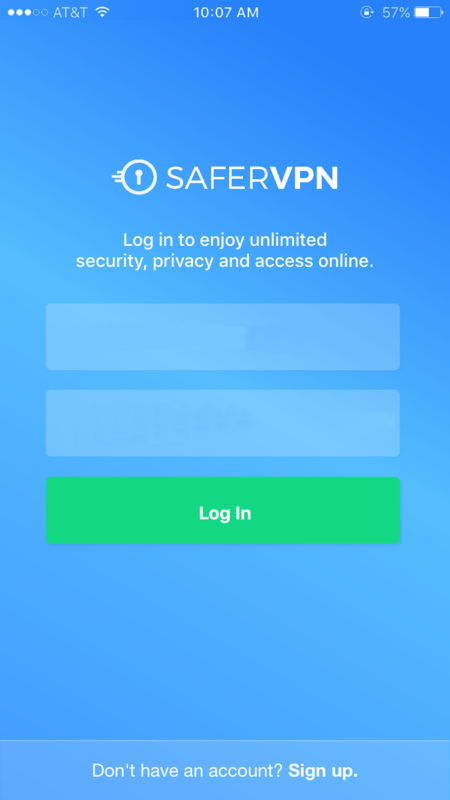 The wait is finally over, here is my SaferVPN review. Indeed, this Israeli VPN, founded in 2013, keeps growing. So I guess it’s now time you learn more about it too! First of all, it’s no wonder that Safer VPN is getting more and more users. Indeed it offers features worthy of the best VPNs: Speed, encryption and self-managed premium servers to name but a few. However, the fact that it’s issued in Israel may raise certain questions regarding the respect of the users’ privacy. 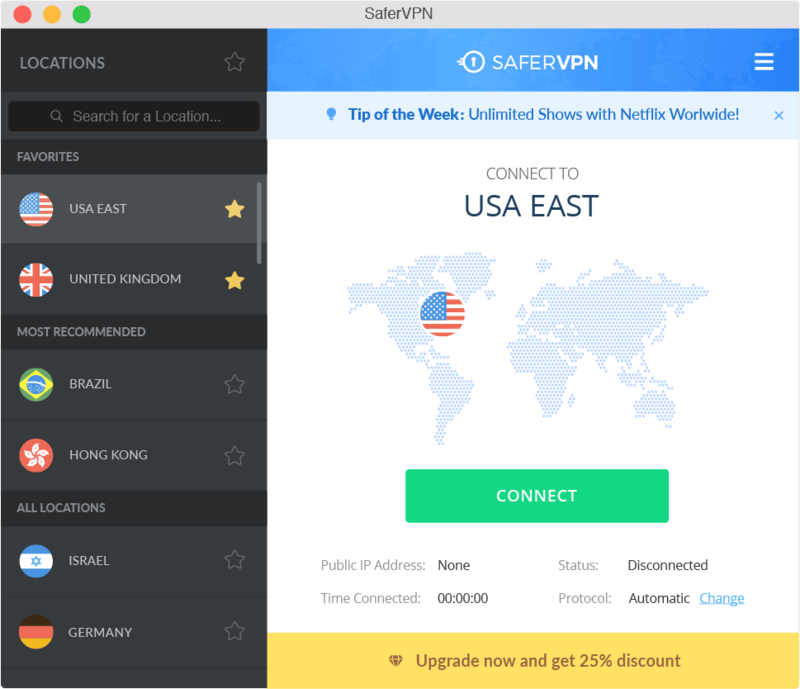 So let’s review SaferVPN in details. 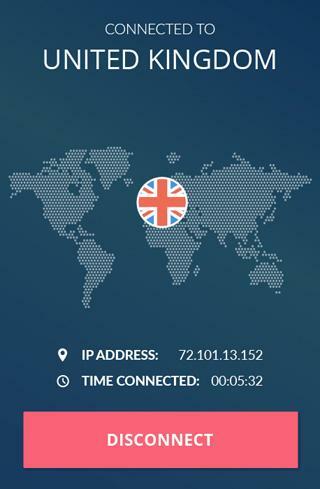 SaferVPN is a VPN for casual users which keeps rising in TheBestVPN.UK top list. 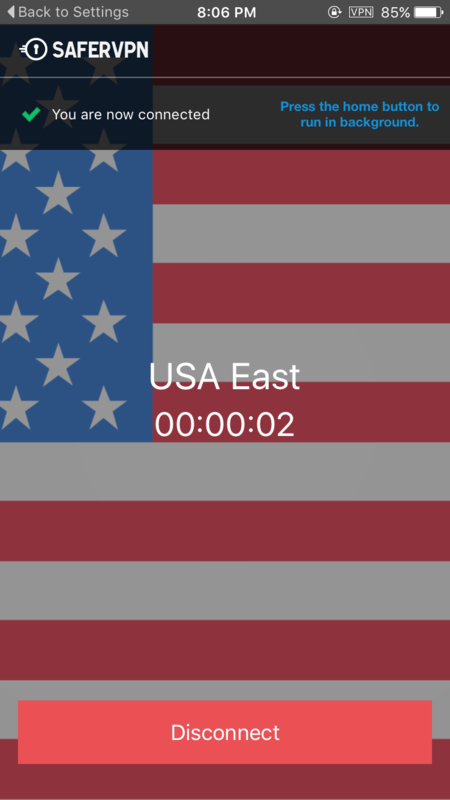 And at the end of this Safer VPN review, you’ll easily understand why. The company is based in Israel, a country under constant military threat. And a close ally of the United States in their global surveillance business. Only these two facts should raise a red flag. However, there’s a strict no log policy concerning the online activity of their users. And it’s very clear on their site what the VPN is logging. Furthermore, SaferVPN offers attractive performances at an affordable cost, with a network of premium servers in more than 30 countries. 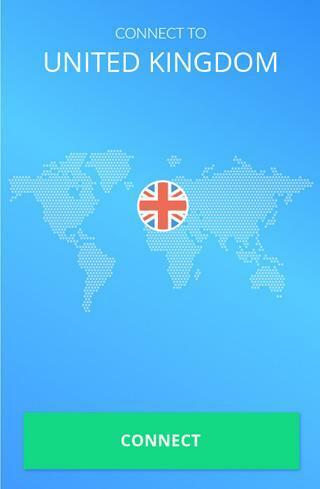 And it covers the most popular English speaking countries: United Kingdom, United States, Canada and Australia. 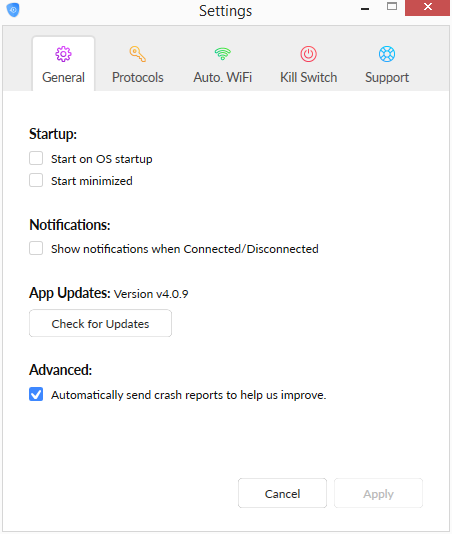 Finally, SaferVPN has developed native applications on almost all platforms, including routers. And that makes it very interesting with 4 simultaneous connections. Indeed, you can protect all your devices with only 1 subscription. Not to mention that it is always possible to manually set the VPN on smartphones, even if the app allows to use the OpenVPN protocol. As you can see, you have the choice between 3 subscriptions that are very cheap even from the monthly plan. Indeed, this is one of the cheapest VPNs on the market, with prices similar to NordVPN or PureVPN. So if you’re looking for a cheap VPN, SaferVPN is clearly an option to consider. Especially when you get 4 simultaneous connections. Their 2 years deal of the above screenshot is a limited offer. So I’d recommend you to visit their website to make sure to have the best deal available today. In addition, Safer VPN offers a free trial, but for only 24 hours, which can be a bit too short… If you need more time to make up your mind, you can benefit from their 30 days money back guarantee. Therefore, you can try their services up to 2 weeks, without risks. 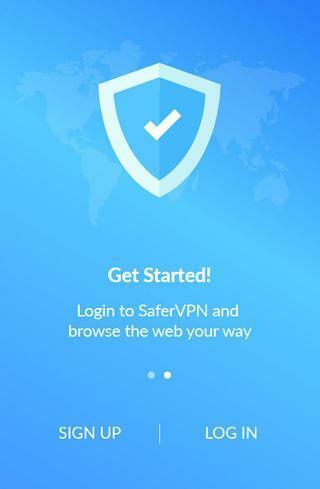 If you’re a beginner in the VPN world, SaferVPN is a good solution to start with! Indeed, no headache here: the installation is done in a few seconds, not even minutes. Then you log in and you can connect. That’s it. 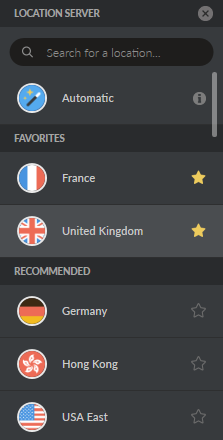 Of course, you can access the list of covered countries, either by clicking on the flag or on the pin. And I mean countries because there is no list of servers available in the client. 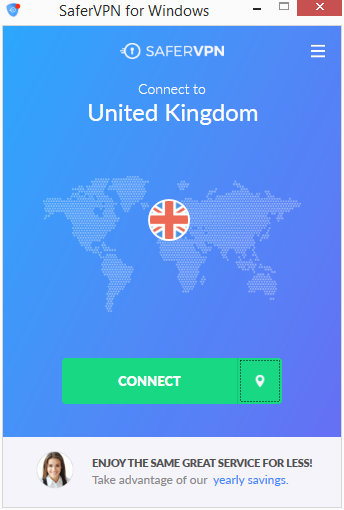 Therefore you can only choose the country and not the server where you want to connect. 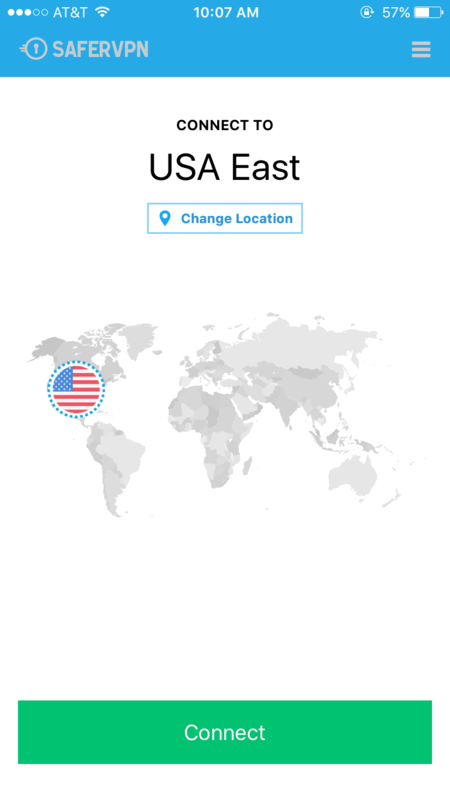 The Automatic server location will connect you to the fastest server for your device. Also, you can set favorite servers by clicking on the star and they’ll appear at the top of the list. Nothing fancy but it saves a few seconds! I have to make a paragraph on it because there are some settings. But we will go real quick over the few SaferVPN settings. On the General tab, you’ll find the basic options: launch on Windows startup being the most interesting. Check the features section of my SaferVPN review for the other tab descriptions. If you want to watch US Netflix, choose another VPN. Indeed, I tried to access the American, English and Dutch libraries without success… Even after contacting their customer service via live chat. So there isn’t, at the moment, any server that unblock the most popular Netflix catalogues. I asked them to offer servers to at least access the US catalogue, but I got no news yet. 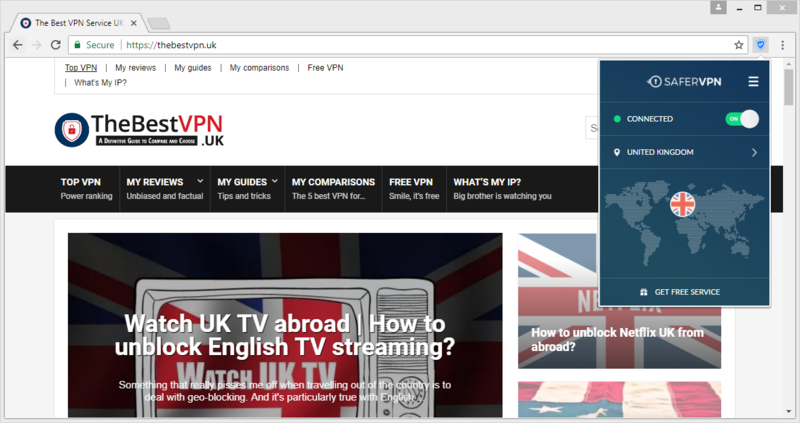 So you should also check out my article on the best VPNs for UK Netflix, to have the list of VPNs that work with English Netflix. Now, what about the logging policy at SaferVPN? The good news is that there is a strict NO LOG policy on your online activity. So everything you do online is protected: browsing history, downloaded files, DNS queries and IP address. And even in the case the authorities requested access to your data, SaferVPN couldn’t share anything. Because there’s nothing to share! Nevertheless, Safer VPN collects a lot of information about your session. Indeed, they log when you log in and disconnect, the amount of data transmitted during the session, which VPN server you connected to and which country you are connecting from. Although it’s only to manage the quality of their service, I think it’s a bit too much. But I let you be the judge of that. 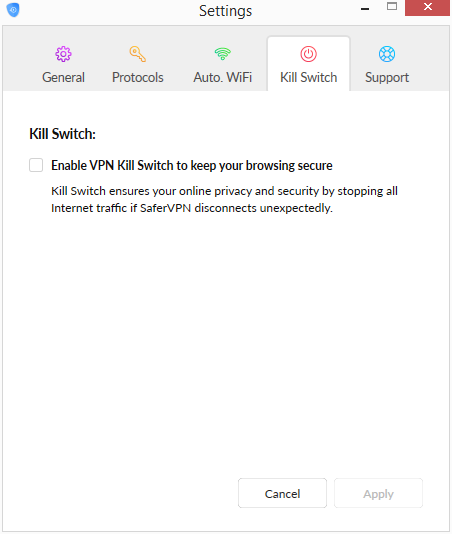 To protect yourself in the event of a VPN connection failure, SaferVPN offers a Kill Switch feature. If your VPN connection drops, Safer VPN blocks all your internet traffic, as long as the VPN connection is not restored. So your IP address is not in the clear on the internet. 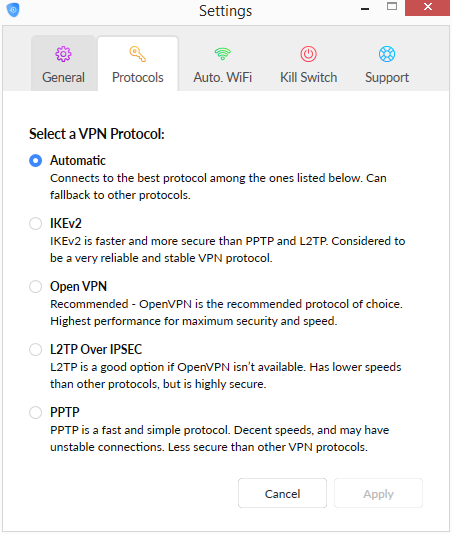 SaferVPN offers an interesting automatic WiFi security feature, that is available on all applications. 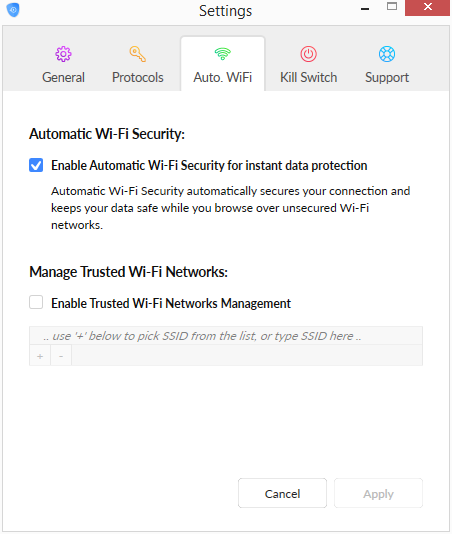 It detects when you connect to a non-secure public WiFi network and immediately protects your device by connecting to a VPN server. So you are covered against the risks of unsecured WiFi networks. And if you need to put exceptions for networks you can trust, it’s possible. For example, if you set up SaferVPN on your router, it’s not worth using it on your PC which is connected to this router. 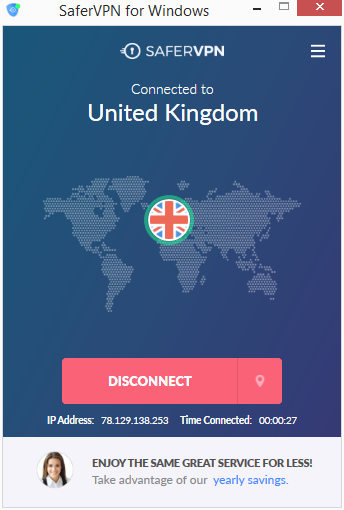 SaferVPN offers servers that are specially configured for streaming, in the United States and England. These are supposed to guarantee an optimal experience when you watch videos online. Although it does not work with Netflix US, I tried to watch AMC and it worked! Besides the Windows client, Safer VPN offers software and applications on all popular platforms: Mac, Android and iOS. I find that mobile applications are better designed than the PC client. I think they should have done like ExpressVPN: Duplicate the same client on each platform. This was my Safer VPN review! Other reviews coming soon, stay tuned! SaferVPN is an Israelian VPN. And they provide a VPN service that encrypts your connection. Therefore it protects your privacy and increase your security.